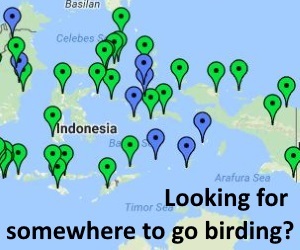 Do you want to help create the Indonesian version of “The birds of the Indonesian Archipelago”? We are looking for volunteers to help translate the species accounts into Indonesian. If we can do this through volunteers, we can keep the price of the Indonesian version as low as possible so that as many people as possible can afford it. Once finished, the book will be sold in Indonesia at a non-profit price. 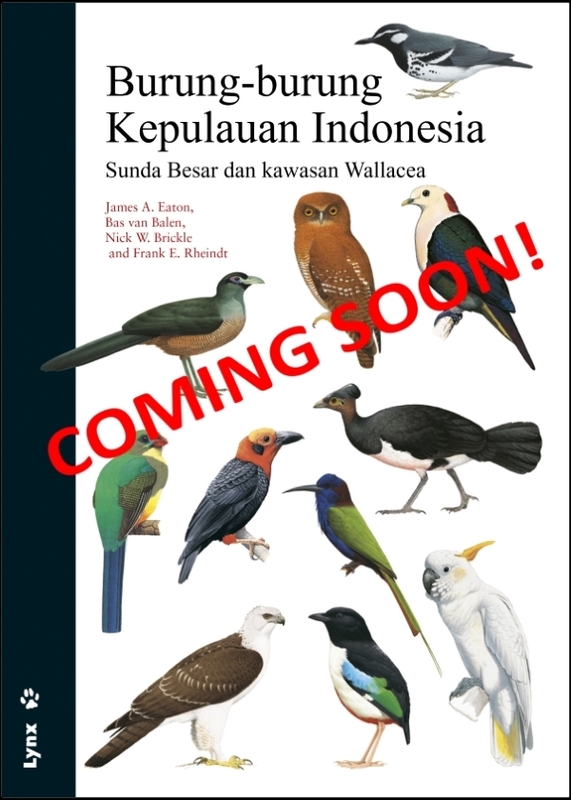 If you can translate 50 species accounts from English to Indonesian you will be listed as one of the contributors in the Indonesian version of the book. In addition, for every 50 species accounts that you translate, we will give you a free copy of the book once it is finished (hopefully by next year). We only need 30 volunteers to do 50 species each and we will have translated all 1,417 species accounts! You can also choose which families you are most interested to translate (first come, first served!). 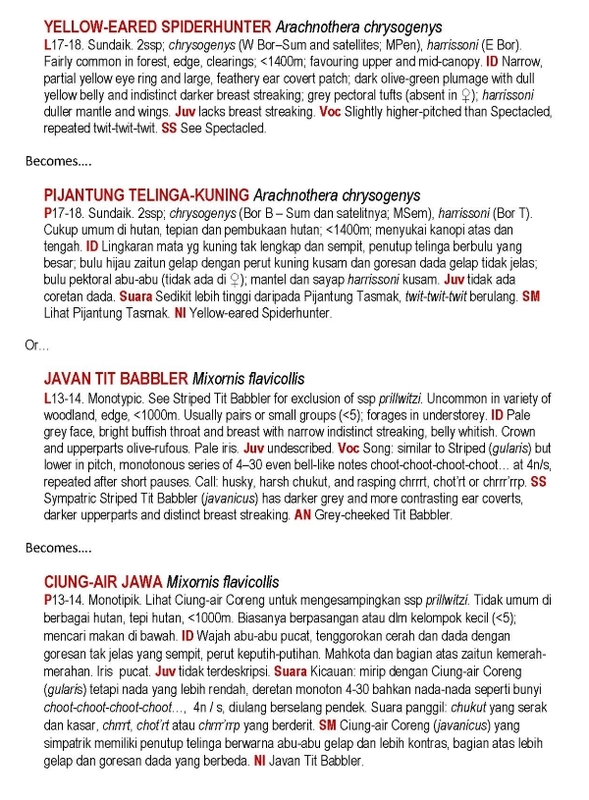 We will provide a list of Indonesian names for each species, so it is only the accounts that need translating. A list of common technical terms, colours and voice descriptions will also be provided. Look at the examples below to see what is involved. We will first ask you to send a sample of 1-2 species accounts, and if they look good, you continue to do the rest. Once we have the completed accounts they will then all be checked for a final edit, and then it is done! 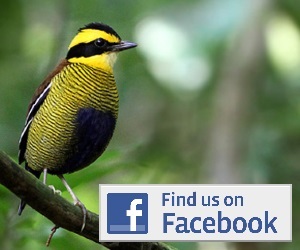 Do you want to be one of the people that helps create “Burung-burung Kepulauan Indonesia”? If you are interested, please send an email to bukuburung@burung-nusantara.org and we will send you some more details! Here are a couple of examples of what it involves. First the English original, and next an Indonesian translation. Easy, right?! 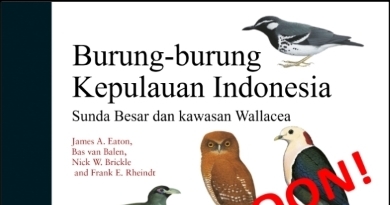 I am interested to help translate the species of Birds in this Book, so if I can be the one of the volunteers, would you please send me the details?